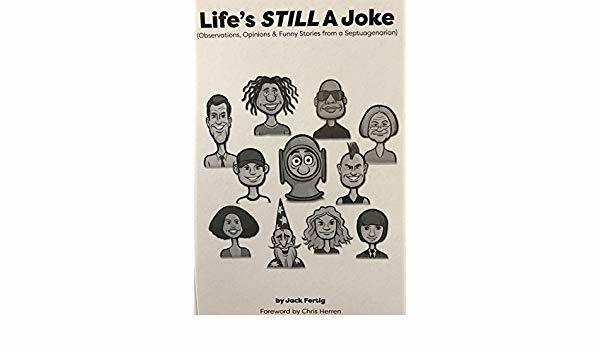 In his latest book, “Life’s STILL A Joke,” Fertig shares observations, opinions and funny stories from his 35-year career as a basketball coach at both the collegiate and high school levels. The former Buchanan High School teacher and coach credits his keen observation skills in helping him recall the countless stories he shares in his new book. “Those additional anecdotes are similar to the experiences that happen to everyone if a person is the least bit observant – and can see the amusing side of what’s going on,” added Fertig, who served as Fresno State’s director of basketball operations under Jerry Tarkanian. The book features stories that include some of the biggest names in basketball including Pat Riley, Doc Rivers, Bob Knight, Michael Jordan and of course, Tarkanian. “Tark,” as the hall of famer is referred to in the basketball world, has his own section in the book because “he deserves an entire section,” reads a subheading in parentheses on page 22. Fertig also provides in-depth commentary on his encounters with administrator, doctors, high school parents and other issues that came up both on and off the basketball court. “Life’s STILL A Joke” is available for purchase on Amazon and at Fertig’s book signing event this Wednesday, Nov. 28 at Riley’s Brew Pub from 5-8 p.m.
Is Holiday Light DIY Right For You?